Wednesday 18th October 2017 – 9.15am – Murray MacGregor. A scooter rider has suffered critical injuries after a collision with a car. It happened outside the Castle Casino on Castle Hill in Dudley at about 5.50pm last night (Tuesday). An ambulance a paramedic officer and the Midlands Air Ambulance from Cosford with a trauma doctor and critical care paramedic on board were sent to the scene. 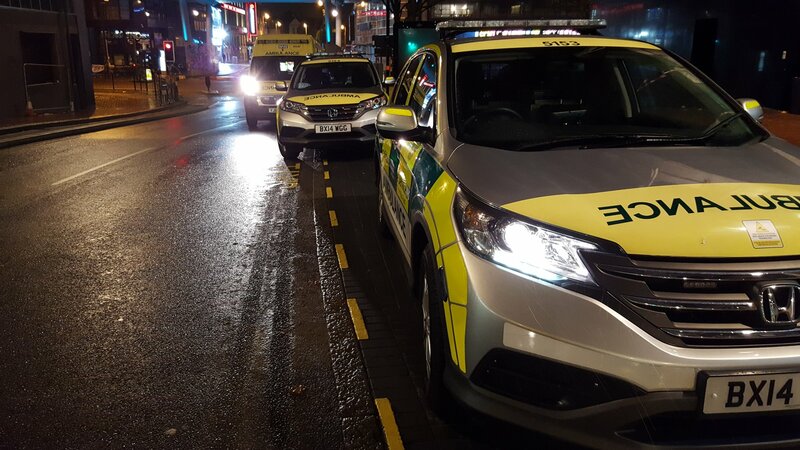 A West Midlands Ambulance Service spokesman said: “On arrival, ambulance crews found a man who had suffered multiple serious injuries.